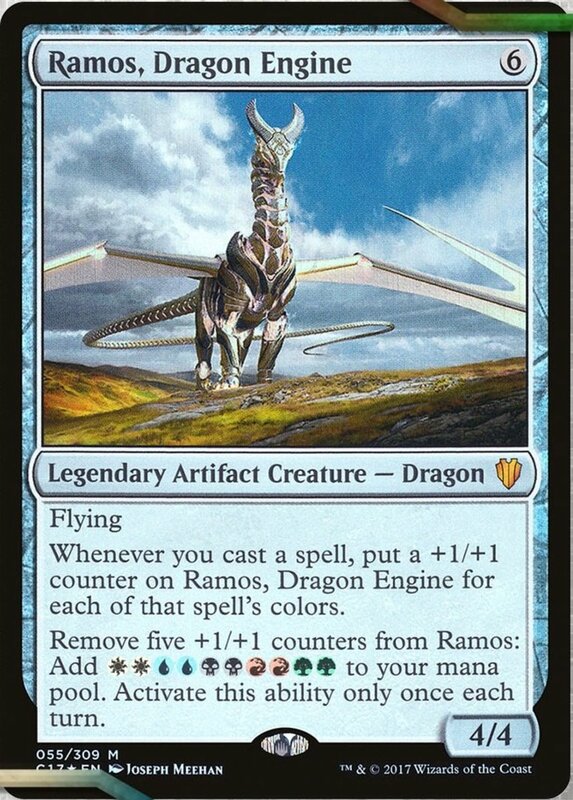 What Are the Best Creatures With Every Color in Magic? 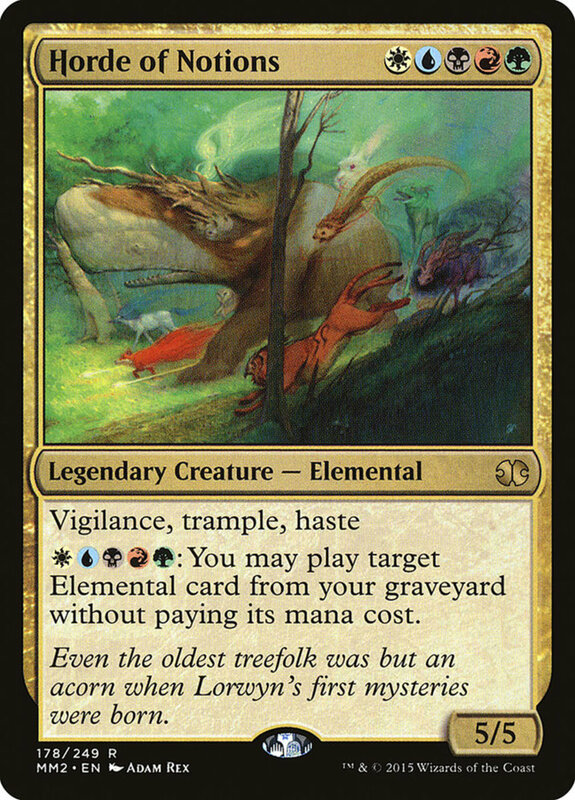 By nature, Magic creatures with every color cost a fair chunk of resources, since incorporating each hue means they'll require at least five mana. More than that, you run the risk of having the wrong mana types; even if you have five lands in play, they may not be able to access every color. Thus, "rainbow" creatures can be tricky, but compensate with several benefits. 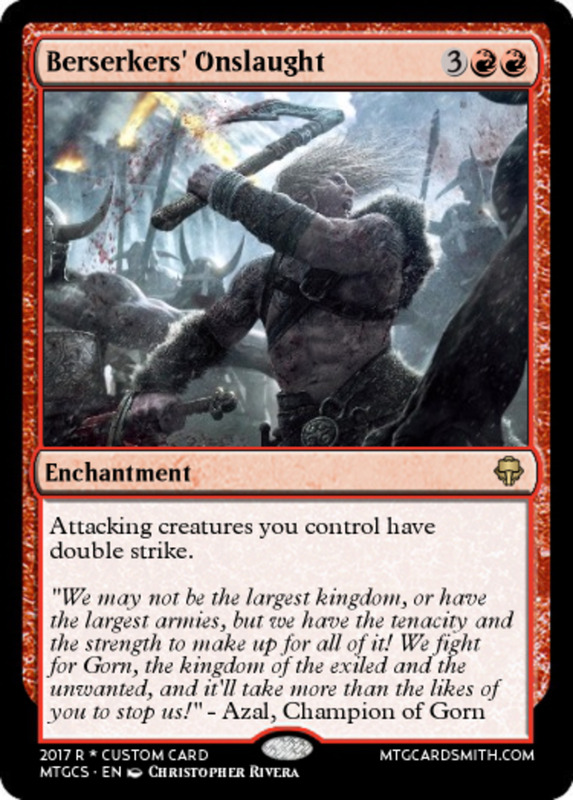 They access every color in commander format, useful when you want to blend the best of each faction, and they compensate for their specific needs with impressive battle stats and effects. But with dozens of multicolor cards available, which shining spells reign supreme? These are the ten best every-color creatures in Magic: The Gathering! Starting off simple, Fusion Elemental doesn't carry any additional effects or abilities, but he wields a daunting 8/8 (eight power and eight toughness), letting him decimate foes in battle. Additionally, he belongs to the elemental faction, offering useful synergies with cards like "Incandescent Soulstoke". Like most rainbow cards, Alara needs one mana from each color, but enters with an impressive 6/6 plus trample, letting him bleed excess damage through blockers. 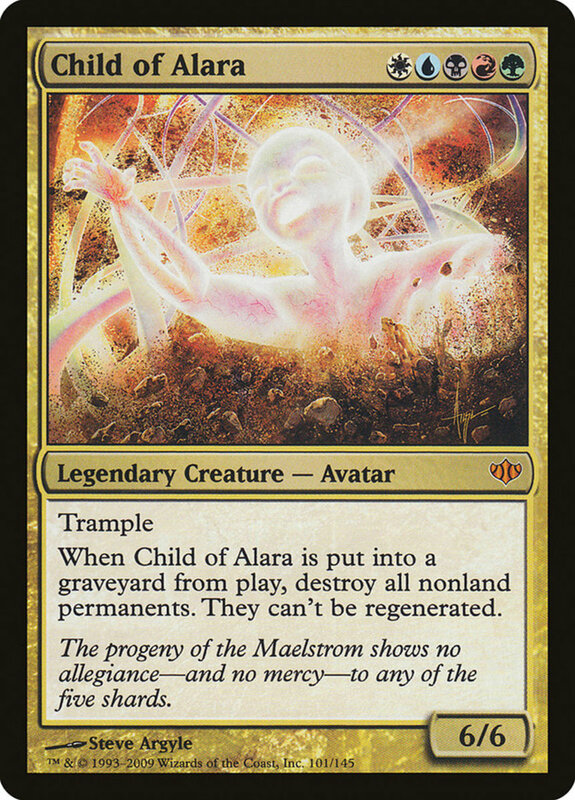 Additionally, when he's sent to the graveyard from the field, Alara destroys all non-land permanents and prevents them from regenerating. 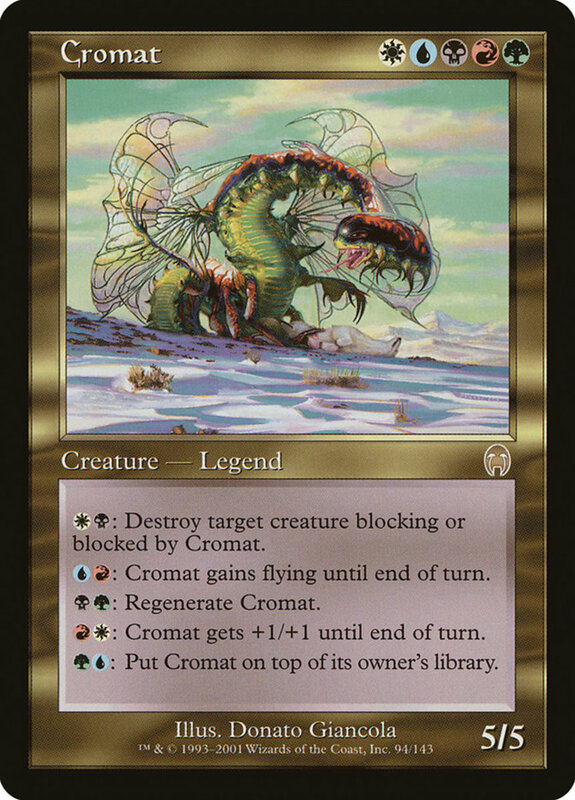 While this board wipe impacts you as well as your opponents, they should have more to lose considering you just lost a creature. You can also protect yourself from the detonation by using cards with indestructible, like the potent Darksteel series. 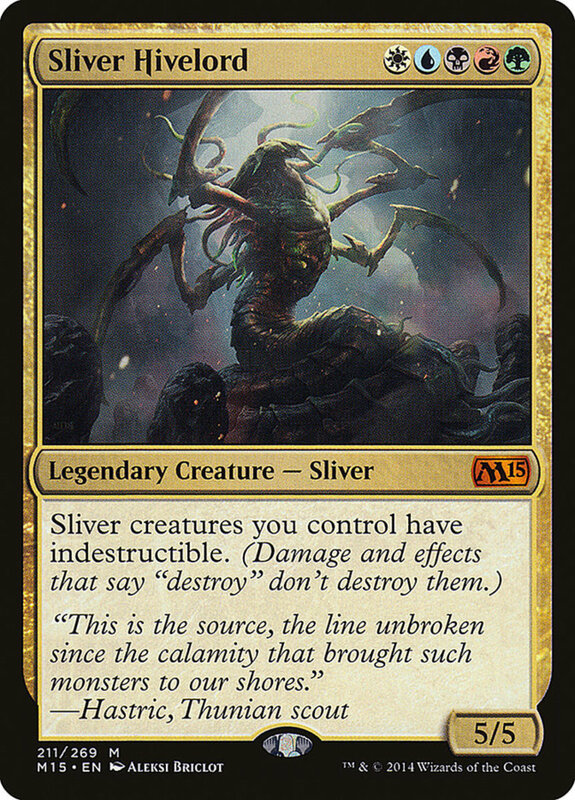 One of the best sliver commanders in EDH format, Hivelord wields a solid 5/5 stats, and like all slivers, his effect boosts his entire family, granting your slivers indestructible. This makes a potent combo with Alara's field wipe, and it's useful on its own, shielding your army against the most common form of removal. Another of the best slivers in the game, Legion brandishes a great 7/7 stats. 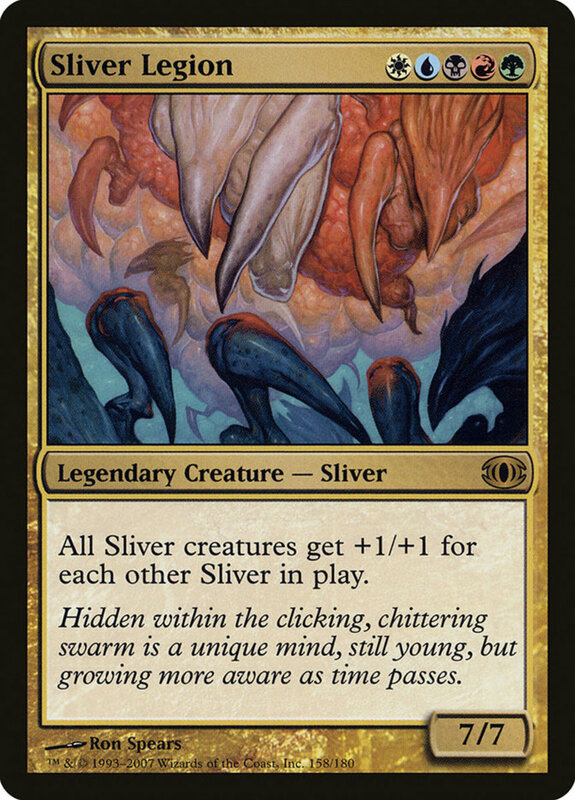 Additionally, he increases the power of all slivers in play by +1/+1 for every other sliver, boosting the insects to incredible proportions. While this can potentially aid your opponents as well as you if you happen to face another sliver deck, it's a fantastic buff that further ramps Legion's already-impressive strength. 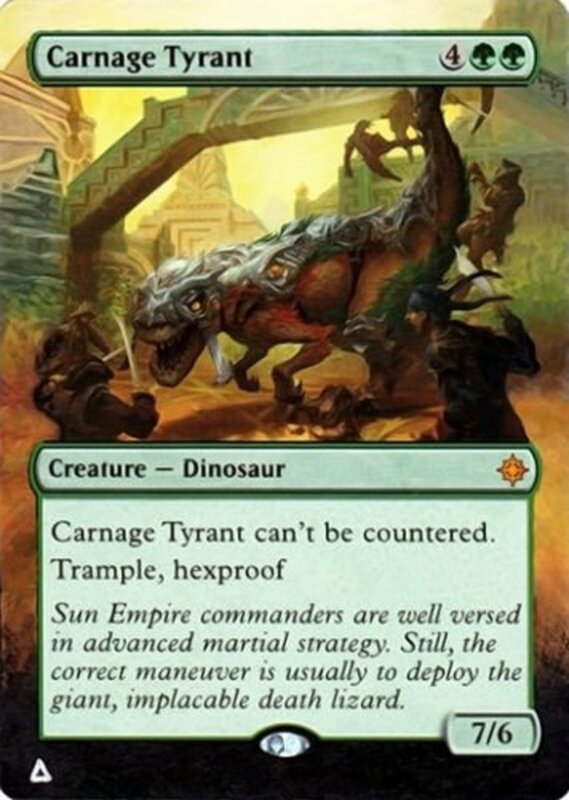 If you can get trample on him, he can often score a commander damage win with only two or three attacks. 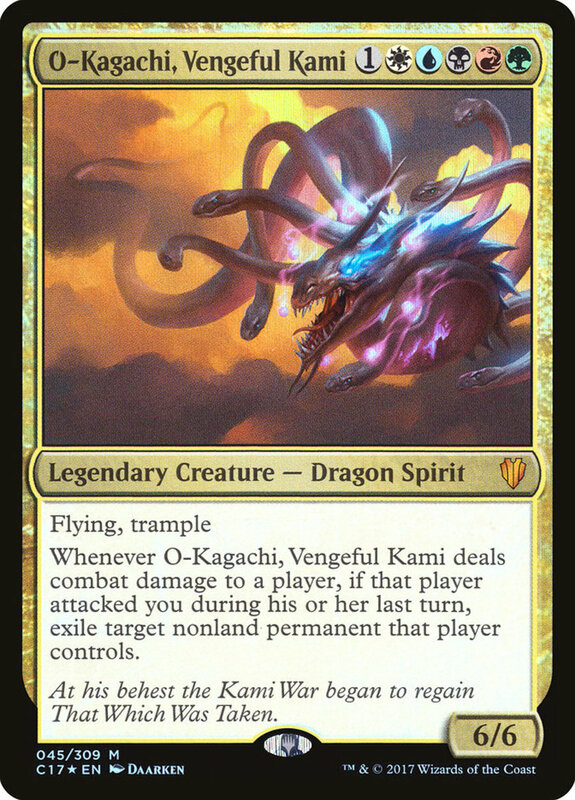 O-Kagachi actually needs six mana, so he'll cost you a pretty penny, but he arrives with a solid 6/6, trample, and flying, letting him soar over ground blockers. These traits make it very difficult to completely defend against his attacks, which stacks perfectly with his next ability. O-Kagachi lets you exile a nonland permanent an opponent controls when he deals combat damage to them, but only if they attacked you during their last turn. Attacks are common, so you should often be activating the ability. O-Kagachi also carries synergies with both the dragon and spirit factions; try getting shroud or hexproof on him to prevent your opponent from targeting your ace with effects. Equipment spells like "Lightning Greaves" and "Swiftfoot Boots" will do the job, also granting haste as a bonus. None of the abilities are mind-blowing, but they're inexpensive, versatile, don't require tapping, and can be activated at instant speed, letting you play them at any time. 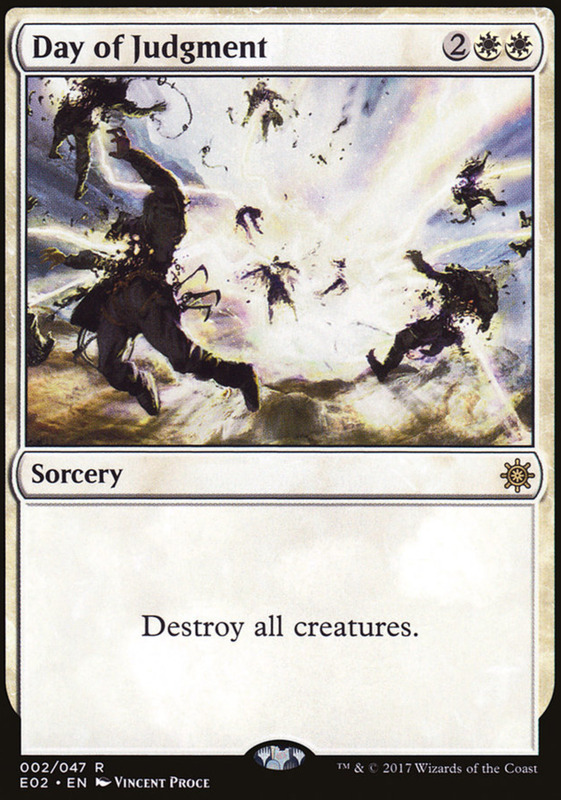 The regeneration and creature destruction are often your best bets, so save your black mana whenever you can. 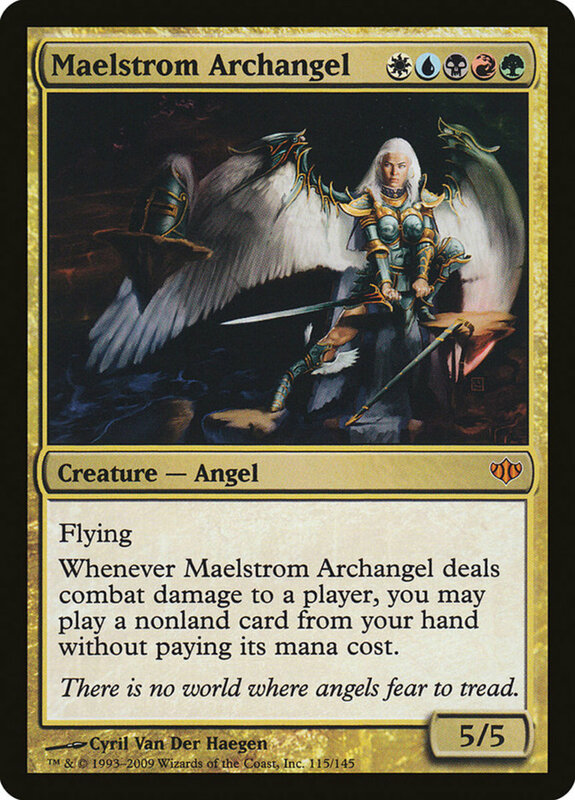 Maelstrom Archangel carries a fair 5/5 stats, and like most angels, she enjoys flying, making her unblockable to foes without flying or reach. Even better, when she lands combat damage on your opponent, you can play a nonland card from your hand without paying its mana cost! Use this to easily field expensive behemoths like the eldrazi. While flying can sometimes let Maelstrom slip through unhindered, you can increase your odds of landing combat damage on your adversary by giving her trample or making her unblockable with blue auras. 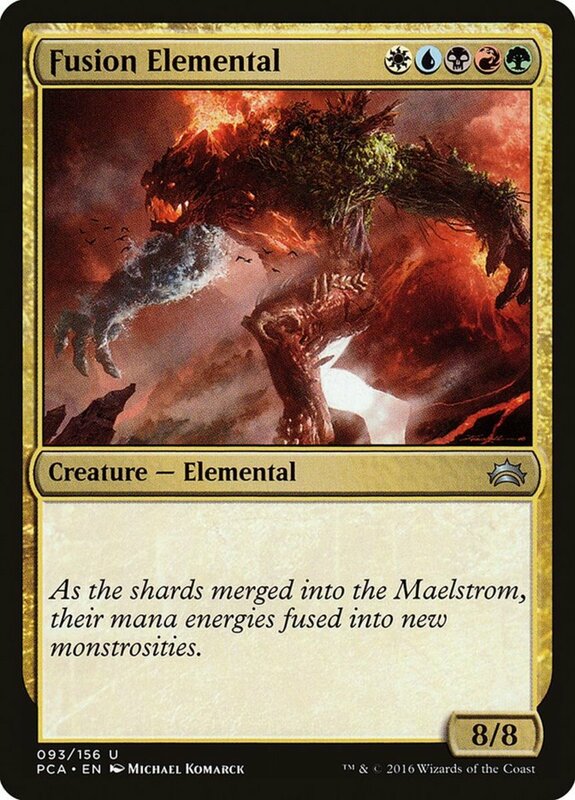 Like Fusion Elemental, Horde of Notions belongs the the powerful elemental clan, and he arrives with a fair 5/5 stats. However, he also carries trample, haste (letting him attack/tap immediately), and vigiliance, letting him attack without tapping. If we stopped there, he'd already be a prime bargain, but Notions can also spend five mana (one of each color) to play any elemental from your graveyard without paying its cost. This offers a stellar discount on the strongest elementals in the game (like "Omnath, Locus of Rage"), and even if you end up spending more than the original price, it's still an excellent way to cast cards from a zone other than your hand. 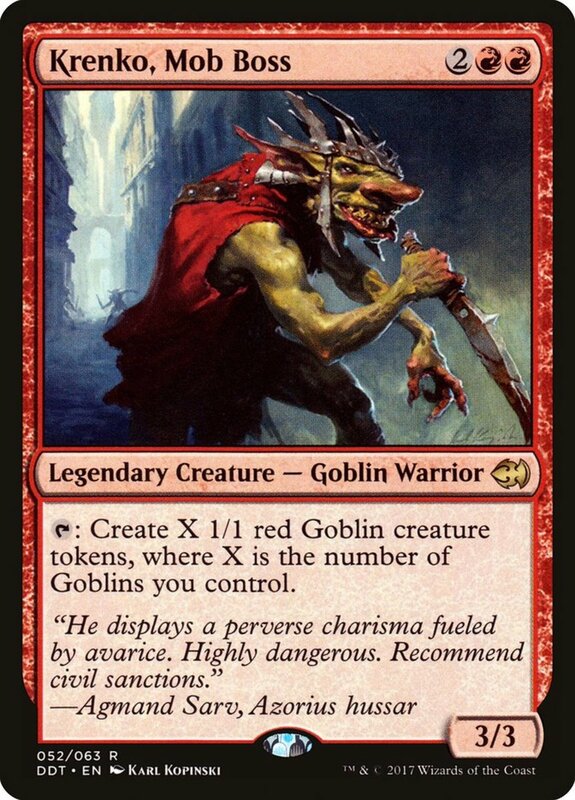 I've used Notions to great effect and he remains a personal favorite EDH leader for his powerful effects and surprisingly affordable price, often costing less than a single dollar! 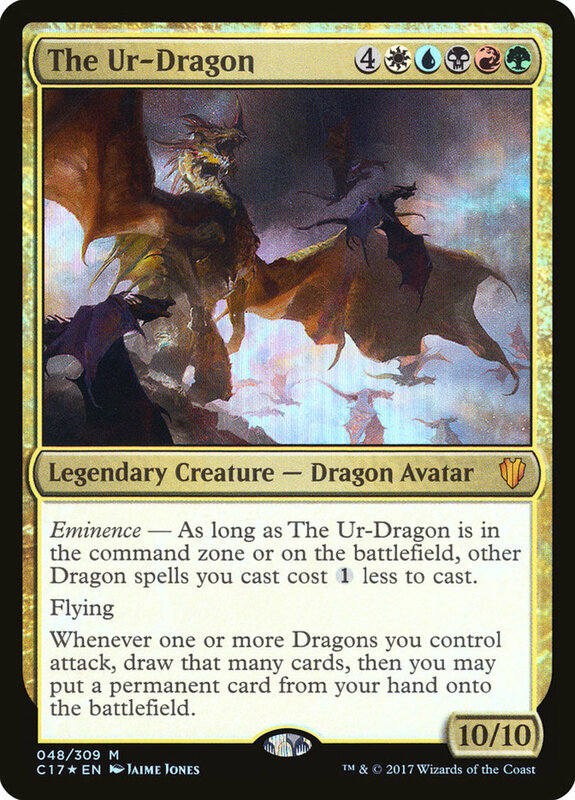 The Ur-Dragon serves as a superb EDH commander, offering all five colors plus the dragon and avatar subtypes. 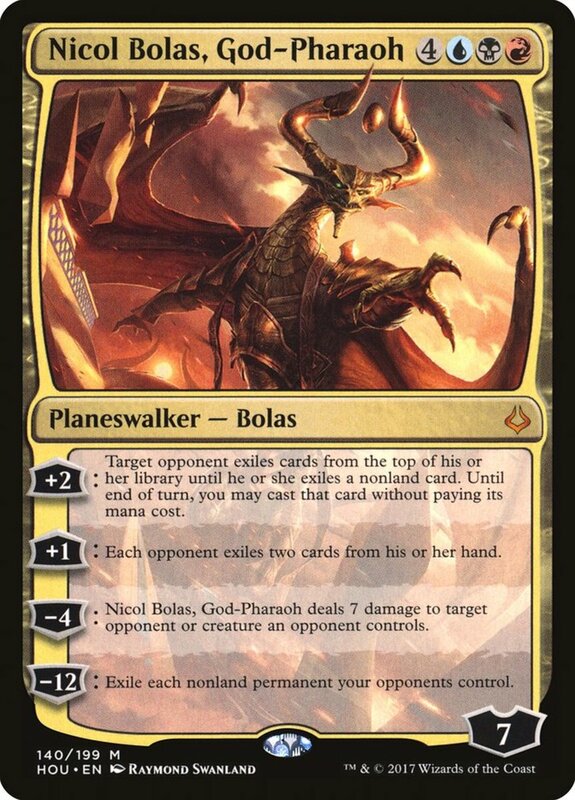 While his rigorous price of nine mana means he's hard to field, Ur's eminence effect helps even while in the command zone, reducing the price of your other dragon spells by one. Ur isn't as powerful in his Scion form, as his stats are now only 4/4 and he doesn't carry his eminence effect. 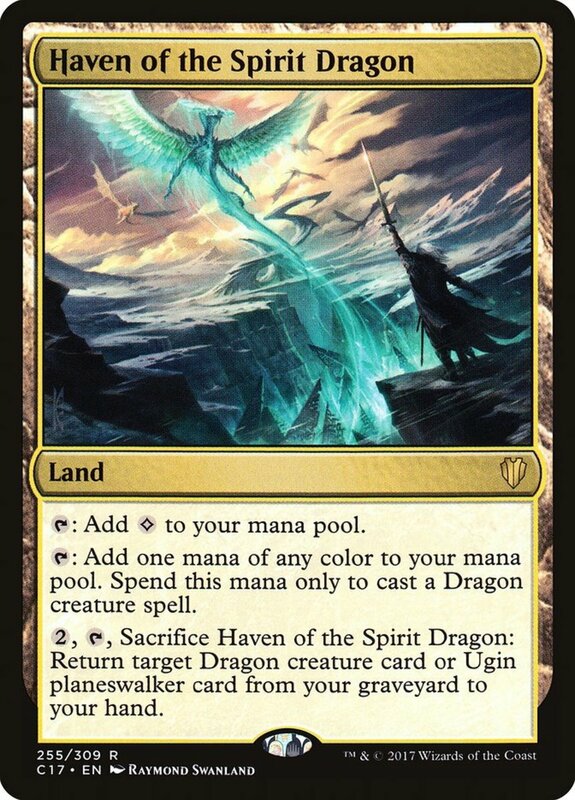 However, his mana cost is now a more-managable five mana, and you can spend two mana of any type to search your deck for a dragon, put it into your graveyard, then have Scion become a copy of it for the rest of the turn. Use this to not only mill dragons into your graveyard (letting you later revive them) but access hefty titans without having to pay their fees. Morph Scion into the best dragons like his Ur form, "Utvara Hellkite", or "Atarka, World Render" to decimate your opponents before they know what hit them. 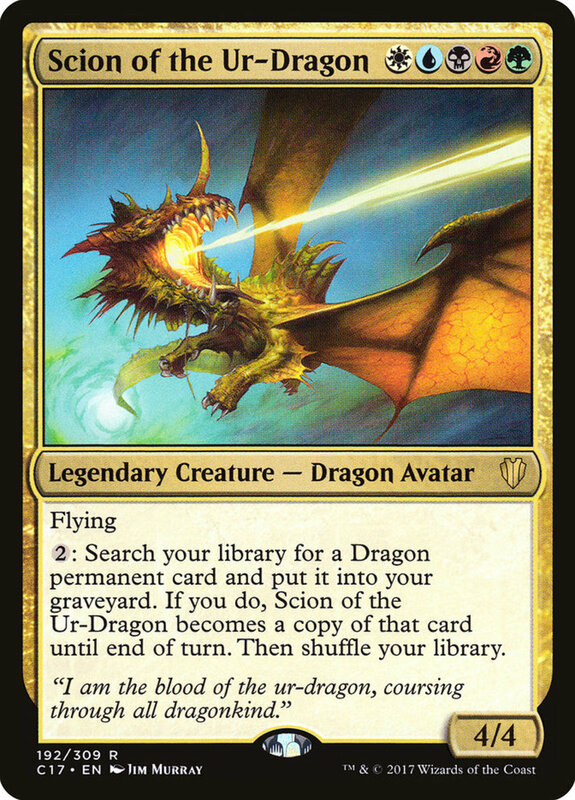 Adaptable, reasonably priced, and granting all colors, Scion remains one of the best commanders in Magic. To best utilize your catch-all structure, you'll definitely want lands that can tap for multiple mana types, so be sure to include the Temple cards. Additionally, green's "Bloom Tender" elf can tap for every mana color on a permanent you control, potentially adding all five colors at once, and "Jodah, Archmage Eternal" lets you pay one of every mana color instead of paying a spell's cost, accessing your strongest cards at reduced prices. Rainbow decks run the risk of drawing the wrong land types, but reward your gamble by employing spells of all types, and I definitely recommend testing the style yourself. But for now, as we eagerly await Wizards of the Coast's next expansion of all-color spells, vote for your favorite card and I'll see you at our next MTG countdown!